Your loved ones are not left alone in the facility because we have staff who are available 24/7. We operate continuously even when your loved ones are fast asleep and our complete shift staff will see to it that there is no disruption in the delivery of service. Have peace of mind knowing that every need that your loved ones may have, even at the wee hours of night, will immediately be attended. We guarantee that there will be no delay in delivery of care, no waiting time, and there is no idle moment here at Bethany Assisted Living. 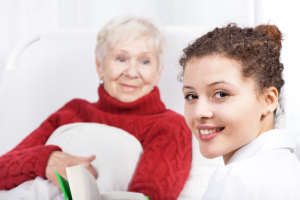 Your loved ones are always at the safe and caring hands of healthcare professionals manning Bethany Assisted Living.